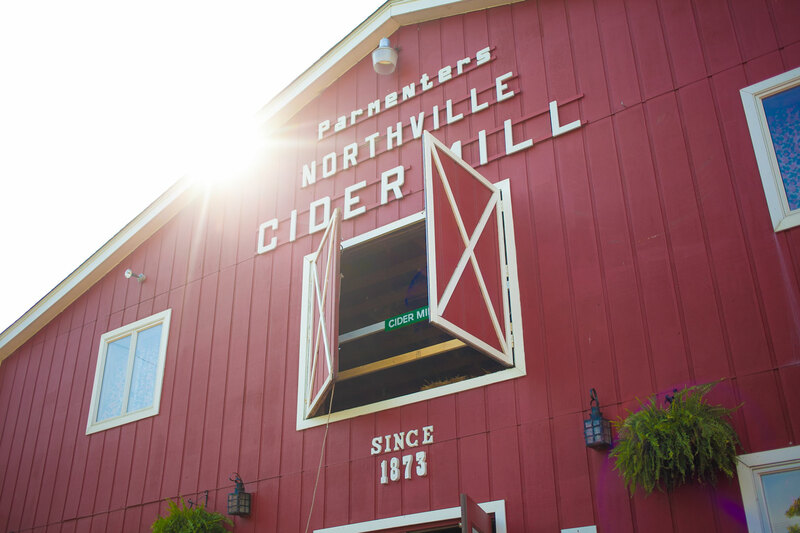 Every single fall, Americans have enjoyed the art of apple appreciation in the form of cider mills. For nearly two centuries, families, kids, couples, and the elderly all stand in lines long formed outside tall barn doors for a taste of fall as unique as it is traditional. What has them coming back every single year? Maybe it’s because of their love of an all-American iconic fruit, the apple. Cider mills celebrate them at the highest level. 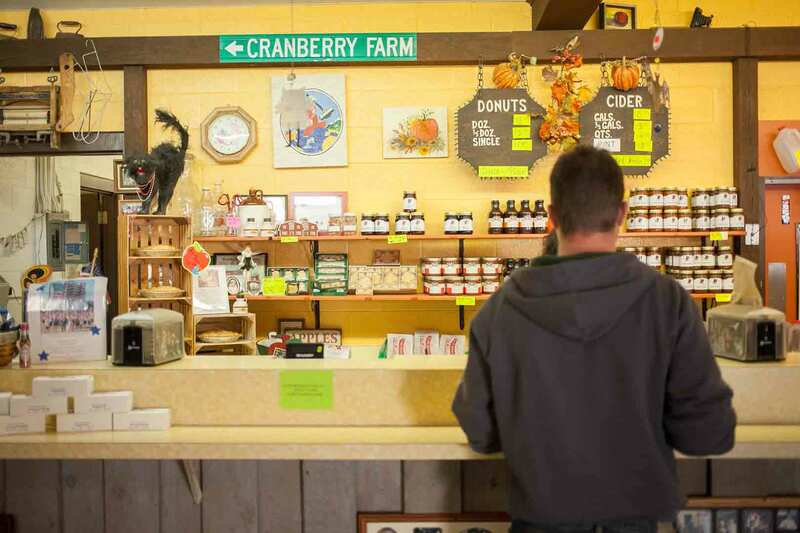 Visitors of the mills spread throughout the Midwest and east coast can buy bags of locally picked apples, apple pie, apple butter, candied or caramel apples, and even apple merchandise. But these are just the bench players. Because apple cider is what the mills are all about. Apple cider is the ultimate expression of the fruit. Thousands of apples are ground and pressed daily to create cider unlike any apple juice you’ve ever had at a supermarket. The stuff is thick, rich, slightly pulpy, and downright… appley! 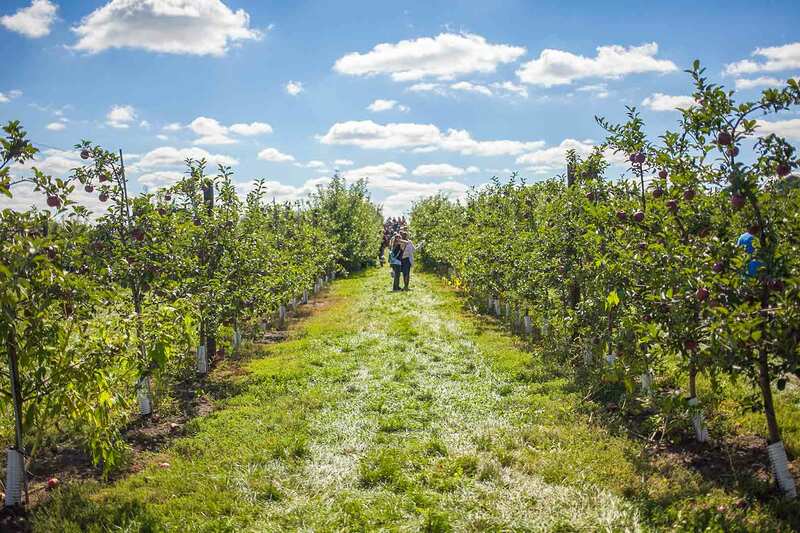 Never been to a cider mill before? Visit one for yourself and see. One drink and you’ll understand. There’s something about the mills that will bring you back year after year. Sediment at the bottom of a gallon. A sign you’re drinking the good stuff. The cider available at these mills incite passion in their followers for reasons more than thick body and mouthfeel. There are certain characteristics that elevate the drink above standard apple juice you find in supermarkets. Cider is pressed juice from apples picked at the peak seasons and not filtered, so some sediment leftover from the grinding process falls to the bottom of the container the cider sits in. Before you pour, you have to shake the jug to make sure you get all that goodness in your cup. Americans have the English and French to thank for bringing the tradition over to our soil. 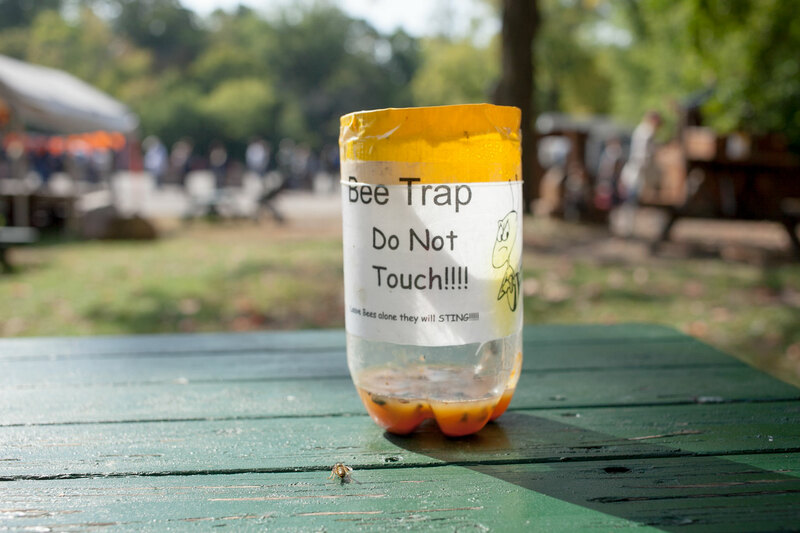 So good, even the bees can’t resist. Mills that produce cider sell huge quantities of the drink in different ways. 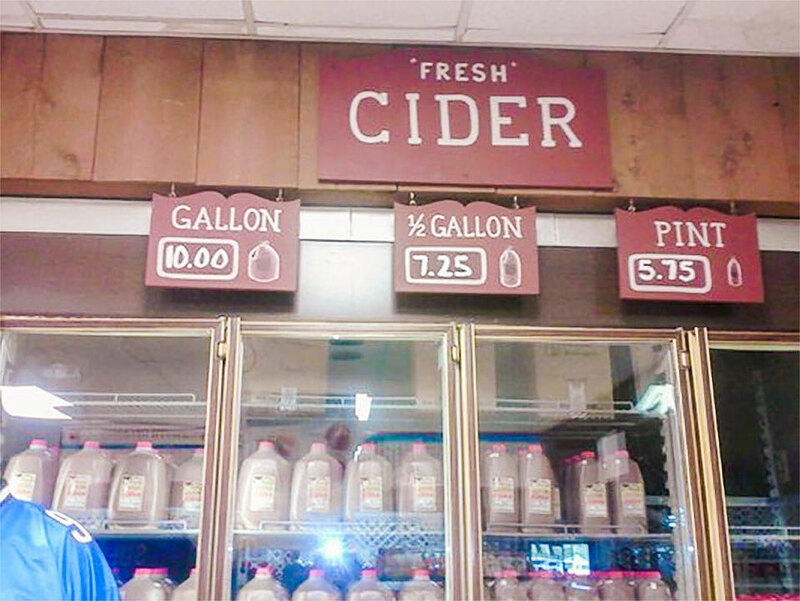 You can order cider straight up, as in cold at fridge temperature. 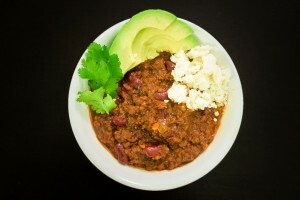 Or, you can order yours hot. Somehow the drink takes on a whole new form when heated up, probably because it’s served on brisk, cold mornings in the fall. Spiced cider doughnut from Parmenters’ Cider Mill. 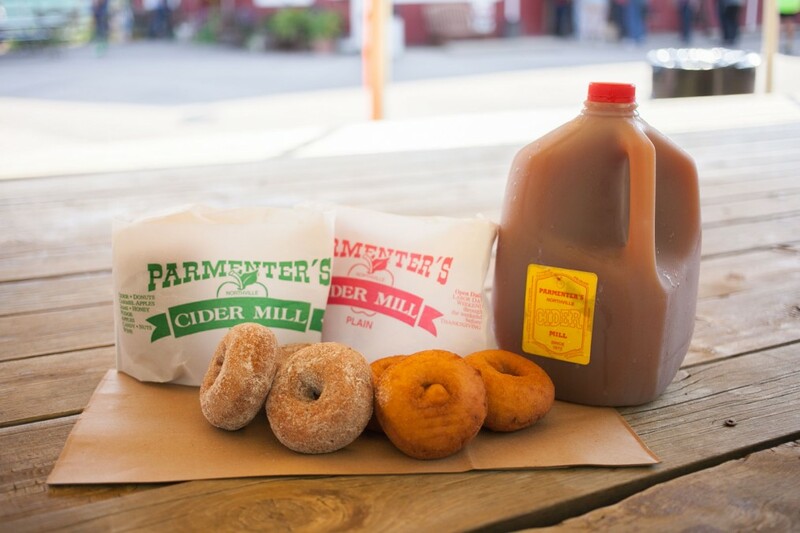 Hot or cold, cider fans almost always enjoy the drink with another staple of the mills: cider doughnuts. 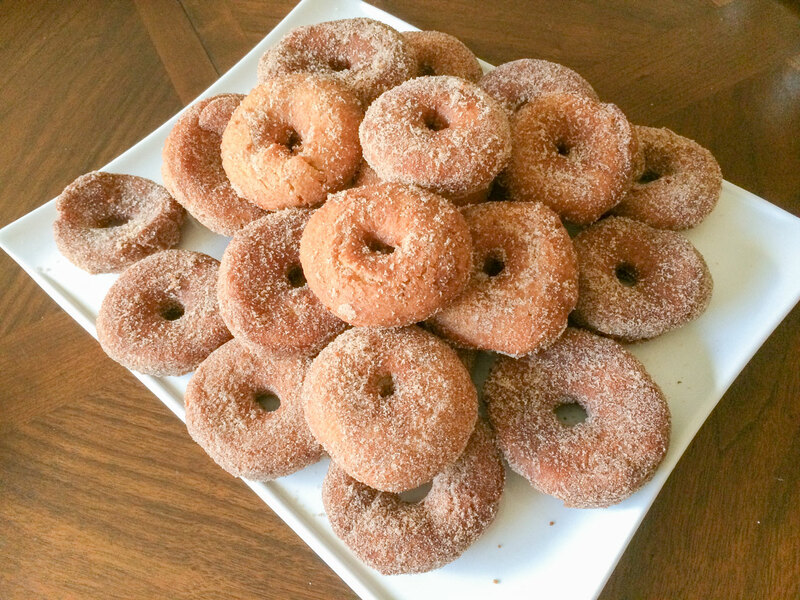 These cake doughnuts are made from a batter that contains the same apple cider they’re served with. They’re prepared either plain or “spiced,” as in dipped into a cinnamon and sugar combination, and are sometimes glazed. Between the donuts and the cider, you wonder which one pulls in more people on weekend mornings. 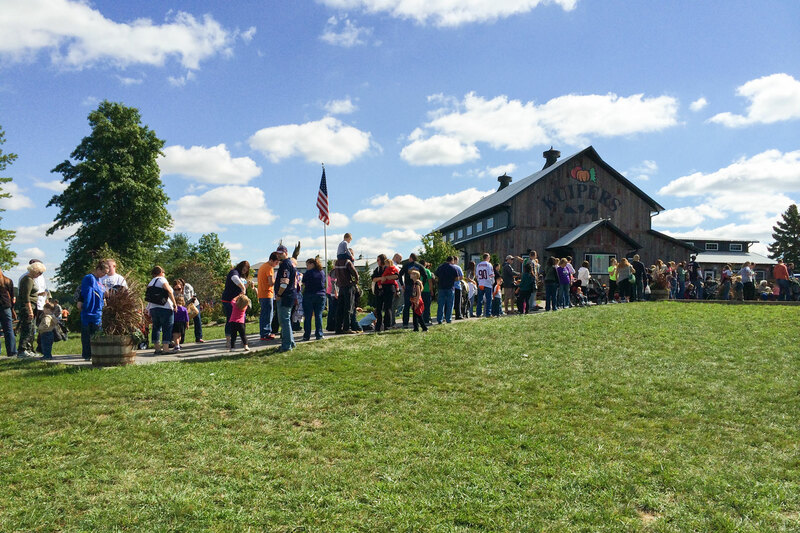 Over an hour long lines for cider and doughnuts at Kuipers Family Farms in Maple Park, IL. There’s an undeniable element of “family-oriented” in cider mills across America that may be playing a role in why people return, as well. They’re a great place to take your kids or guests staying at your place for the weekend on a Saturday or Sunday morning. Many cider mills have play areas, hay rides (some free, others will cost ya), and even mazes to make them a truly family affair. 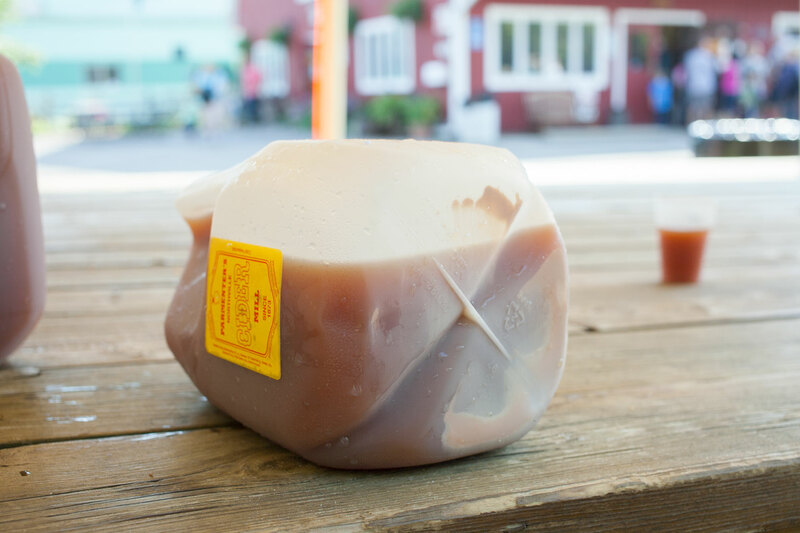 How Fresh Is Apple Cider at Cider Mills? If you dig into discussions about apple cider you will inevitably run into a certain issue: that cider today ain’t what it used to be because it’s now pasteurized. For ages, cider mills would press apples and serve cider raw. 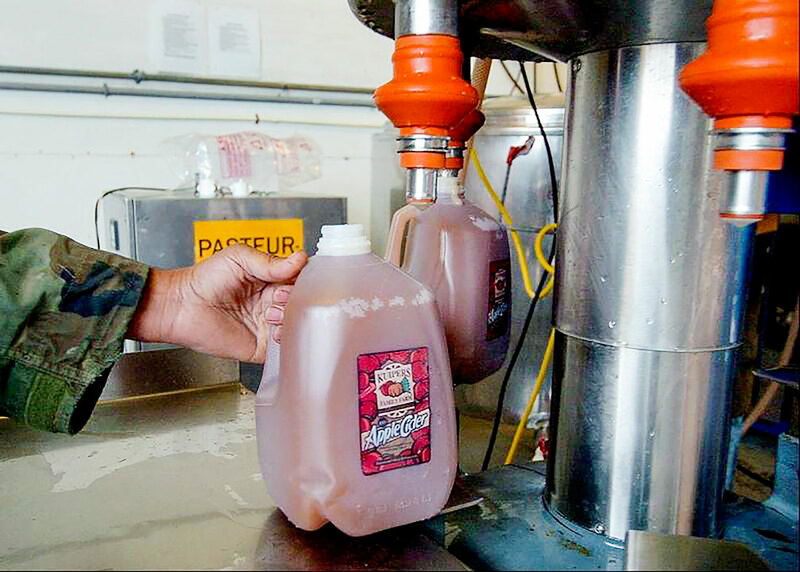 Due to outbreaks of E. Coli in apple cider throughout the US, pretty much every cider mill serves their apple cider pasteurized since around 2001. Storage room at Parmenters’ Cider Mill where cider is stored for one to two days before being sold. 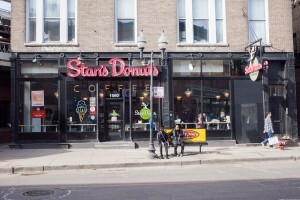 Concerns from patrons who’ve been enjoying the drink for decades echo far. The fear is in the loss of flavor of the cider. 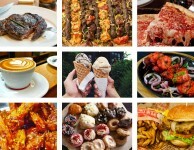 Pasteurization, the process of heating food to reduce the chance of disease by killing off most of its harmful micro-organisms, has a reputation of lessening nutritional value, altering taste and affecting overall composition of the food it’s used on. Milk is the most popular example of debate on the issue. Most commercial milk is heated using the UHT (Ultra-High Temperature) method where raw milk is pressure-heated to 280° F for at least two seconds. Anything dangerous in the milk that came from the cow or jumped in after harvesting is instantly killed off reducing the risk of disease for the consumer. The problem? Some say this insane heat significantly diminishes the nutritional properties of milk and destroys a chunk of its taste and flavor. Other places, like Kuiper’s Family Farm in Maple Park, IL (an hour west of downtown Chicago), do use heat but in a special way. Kuiper’s enlists machines that implement flash pasteurization, or HTST (high-temperature, short term) pasteurization. Unlike UHT, HTST heats liquids to only 160° F for about half a minute. The lower temperature needs extra time but is hot enough to kill off nasties in cider without affecting the nutrients and flavor from the drink as UHT would (for all you nerds, it’s to ensure the method reaches a five-log reduction of killing off 99.99% of micro-organisms). Too much science? Not to worry. 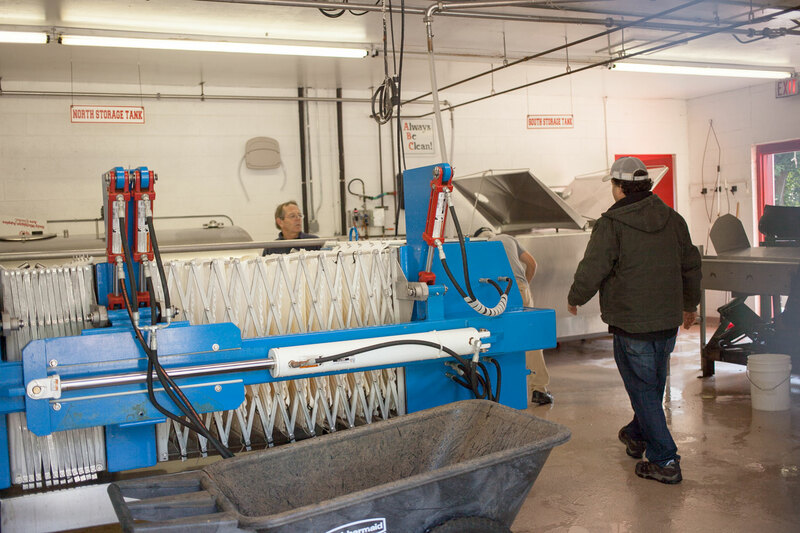 Each method retains the flavor and body of the apple cider from when it’s raw and pretty much every cider mill today uses one of these or a similar method of careful pasteurization. The result is a cider with a flavor that beats the pants off of the apple juice from your local supermarkets and trumps the seasonal cider you can find in the fall. 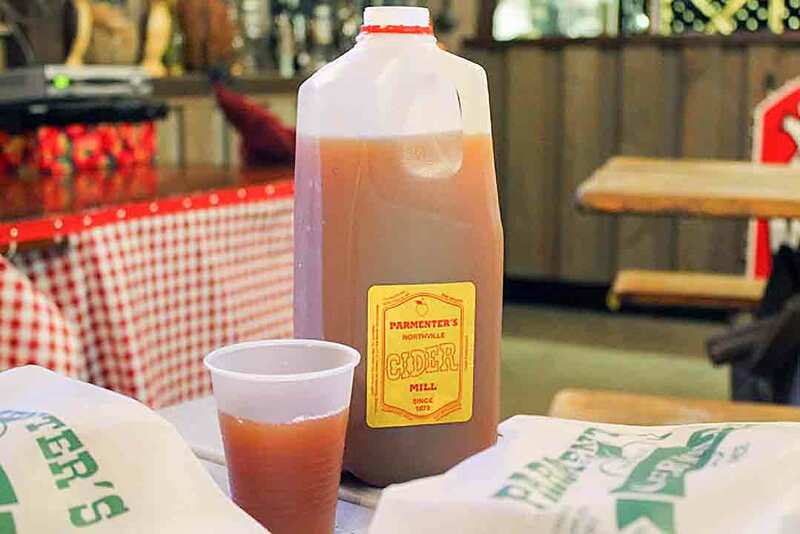 Cider from mills are fresher, more flavorful, and all around better. The best part about cider mills is that they allow you to continue the party after you leave by buying one of their gallons to take home. The stuff can last your fridge for about a week if it isn’t depleted by one of your family members. Straight out of the fridge you can drink it cold for a chilled crisp treat. If you want to simulate what it would be like to drink cider right after it was ground and pressed, pour a glass and let it hit room temperature before drinking. 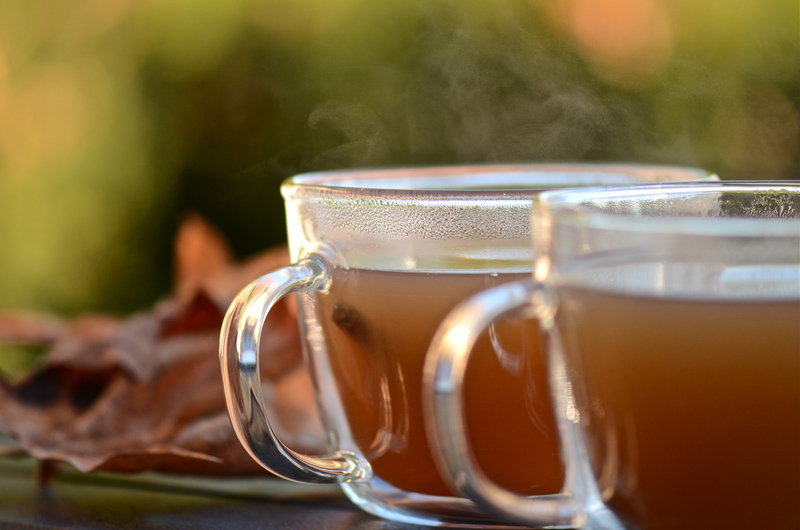 If you’re in the hot drink mood, heat up your cider with some whole spices, like cinnamon stick, some allspice berries, or star anise, to enjoy mulled cider. I like mine cold and mixed it with an equal ratio of orange juice (low-temperature pasteurized would be best) to go with eggs, toast, and Halal breakfast meat for a hearty breakfast on a weekend morning. 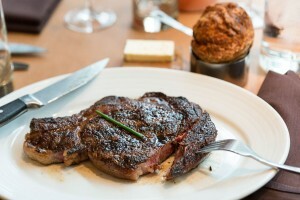 In addition to enjoying in liquid form, cider is also culinary weapon. 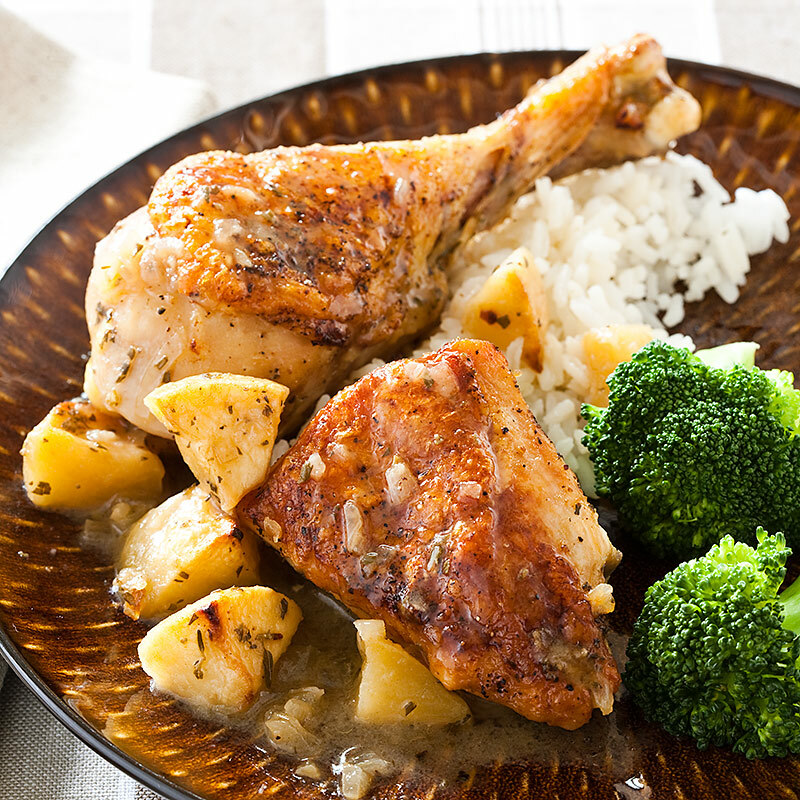 Apparently cider-braised chicken is a thing, something I’ve been meaning to try for some time, where chicken is braised in a mixture of apple cider and chicken broth carefully allowing the skin to render its fat and turn extra crispy while the meat picks up a hint of apple flavor. Want more apple with your poultry? 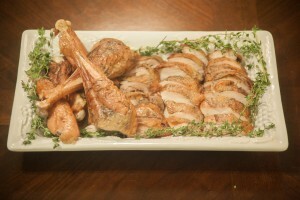 Try an apple cider gravy for turkey dinner. 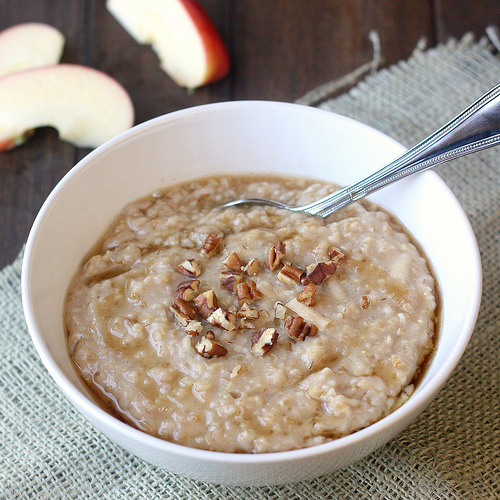 Replace the water in your oatmeal with apple cider, add brown sugar, a dash of cinnamon, and a healthy pinch of salt and you’ve got yourself apple cinnamon oatmeal for a heart-healthy breakfast. 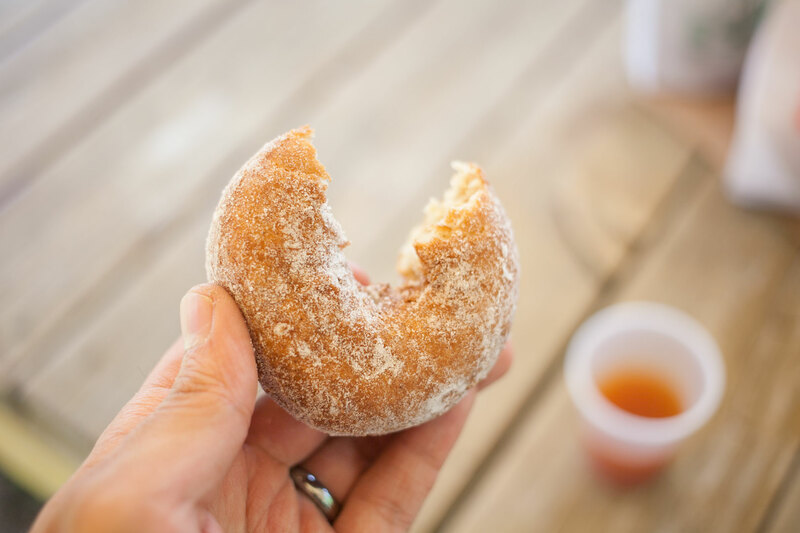 Speaking of healthy breakfasts, remember those cider doughnuts at the cider mills? Why not make them yourself? All it takes is a simple batter with the cider and nutmeg, a necessary spice for doughnuts, and managing the temperature of a Dutch oven half filled with oil. While doughnuts at cider mills fried a few hours before you arrive are great, nothing beats doughnuts served *moments* after you’ve fried and dusted them with cinnamon-sugar. A slice of Alton Brown’s “Super Apple Pie” with apple cider *in* the pie, from filling to crust. My favorite application for cider, though? In apple pie. I’ve been making a variation of Alton Brown’s treatment of apple pie. 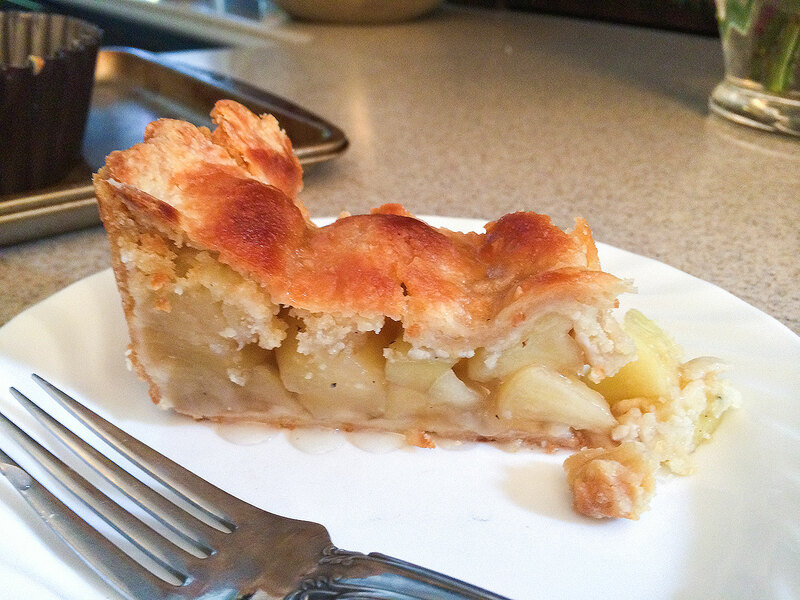 Alton not only uses apple cider in the filling of the pie, but actually calls for in the pie crust itself. The finished pie, aptly named “Super Apple Pie,” screams out apple from fork to crust and then some. 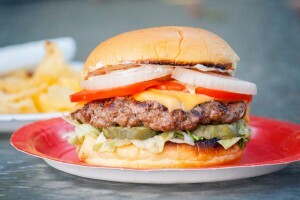 Props to Alton Brown. Johnny Appleseed would be proud. A superb drink, excellent doughnuts, family fun, and continued enjoyment by bringing cider home. 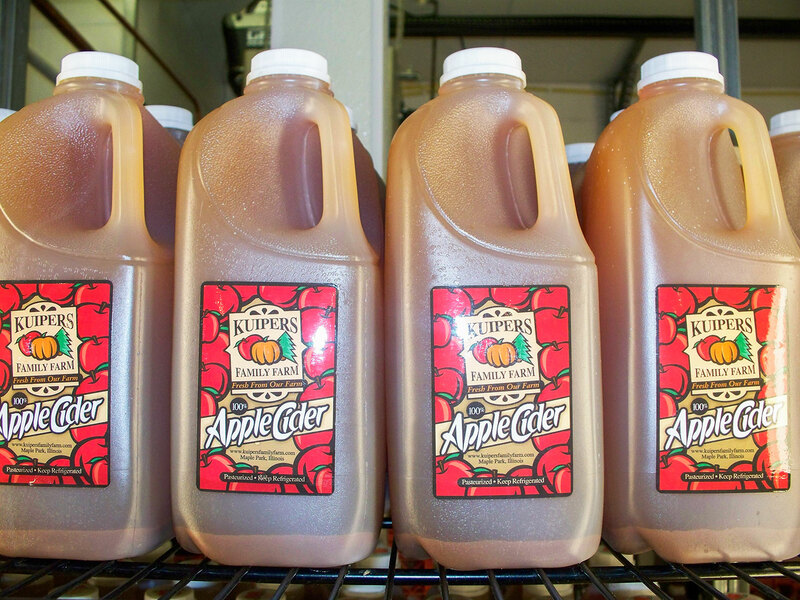 It’s no wonder why so many Americans return to their local cider mills, year after year. Since marrying my Michigan-native wife, I’ve been hooked as well. Every single fall we make plans to visit one locally near Chicagoland or during one of our trips to visit her parents in Michigan. It was a part of her childhood that we continue to celebrate now with our own kids. 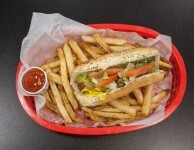 For us, though, there’s something else beyond just the cider and doughnuts that has us coming back. 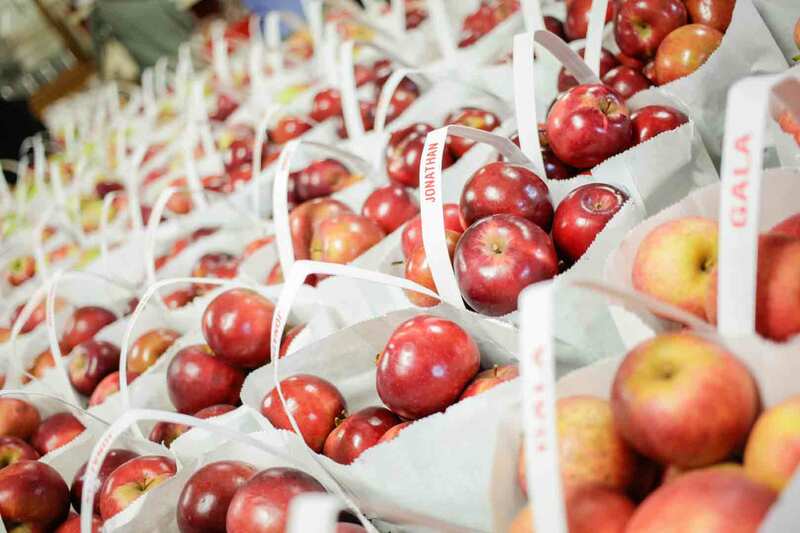 Varieties of apples available for purchase based on season at Plymouth Cider Mill. Every time I visit a cider mill, I recall something one of the few Sunday School teachers that had an influence on me, Abid Bengali Uncle, taught to my class. While explaining the story of the man with two gardens from the Qur’an, he asked how many students had visited an orchard before. Barely any hands went up from our class of fifteen and sixteen year olds. Apple picking tour at Kuipers Family Farm. Those words resonated with me then and every time I’ve hit up a cider mill since. 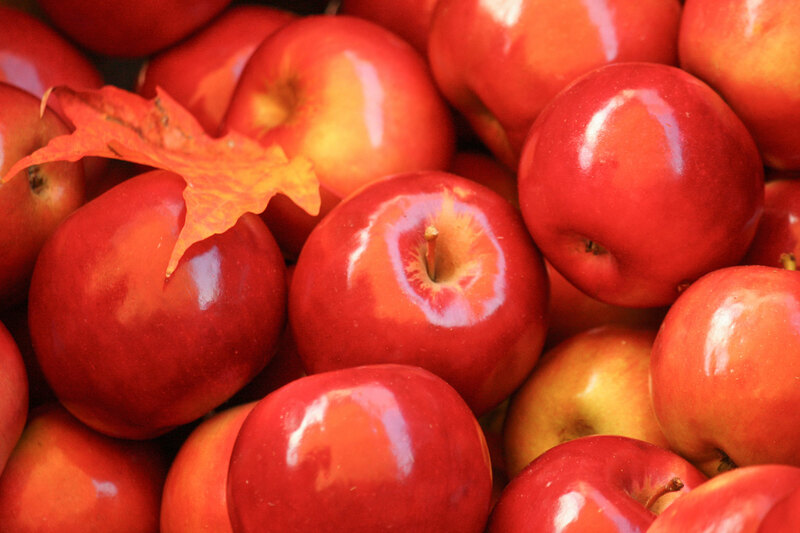 In everyday life, apples are just another item on the grocery list. But when you visit a cider mill, spending half a day with family and friends just to appreciate the fruit, the simple apple and the cider it makes become something else entirely. That’s what has us going back, year after year. Is My Meal Really Halal When I Order Creekstone Beef? 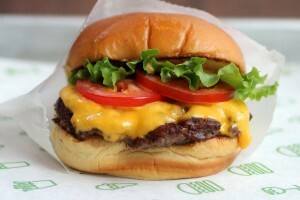 Shake Shack Is Not Halal in the US, But Some Day Could It Be? 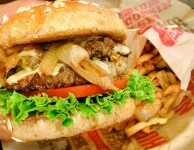 © Muslim Eater. All rights reserved.